Pumpkins are such a fun Fall decor item. I just love to grow them and paint them too. They are easy enough for beginners and even kids. 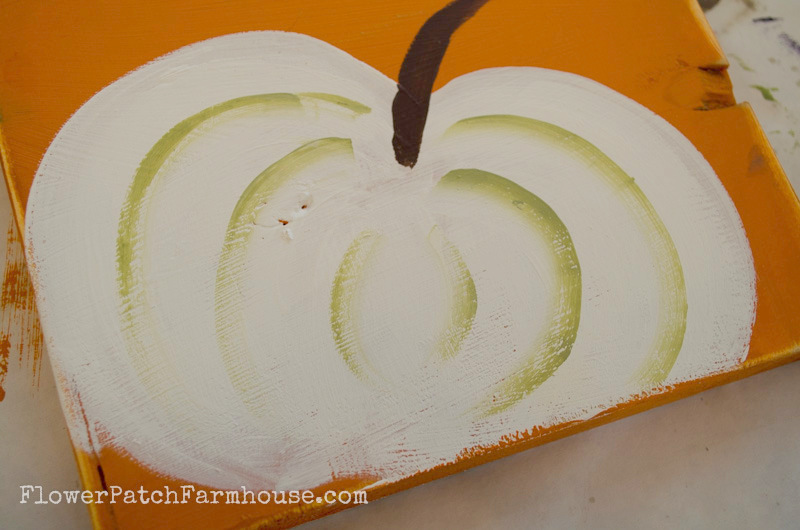 Come and paint a white pumpkin with me in acrylics! 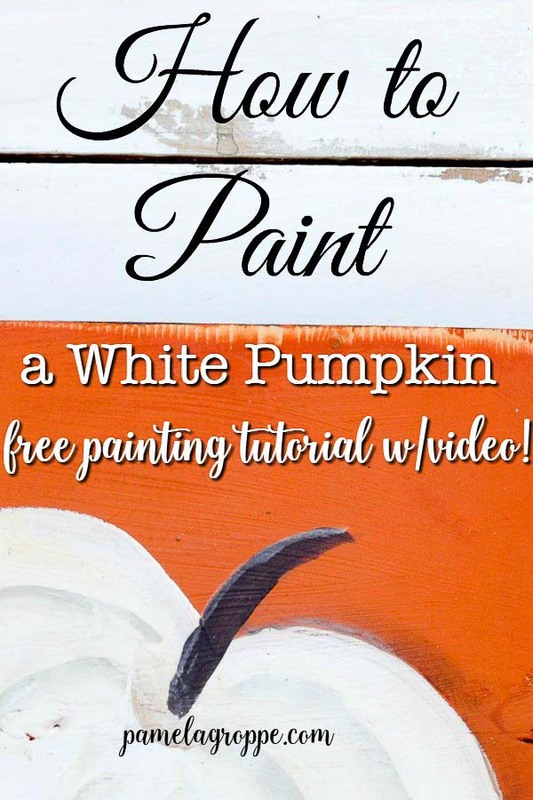 This tutorial shows you how easy it is to paint a white pumpkin but please see below for a link to how I paint orange pumpkins! 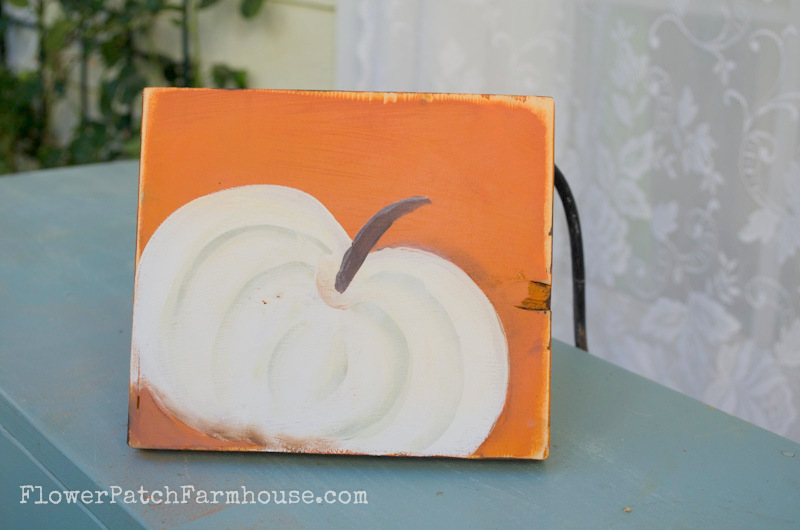 I have been enjoying my stash of Americana Decor Chalky Finish paint and this Heritage Orange over a base coat of Cameo just screams Fall and the white pumpkins are a great contrast to paint on it. I finished it with a couple coats of the Americana Decor Cream Wax. Most of these supplies should be available at your local craft store. I had already started this one without photographing, sorry, but the video does show a pumpkin just chalked out. You don’t have to be round or even on the sides. Pumpkins are rarely symmetrical. 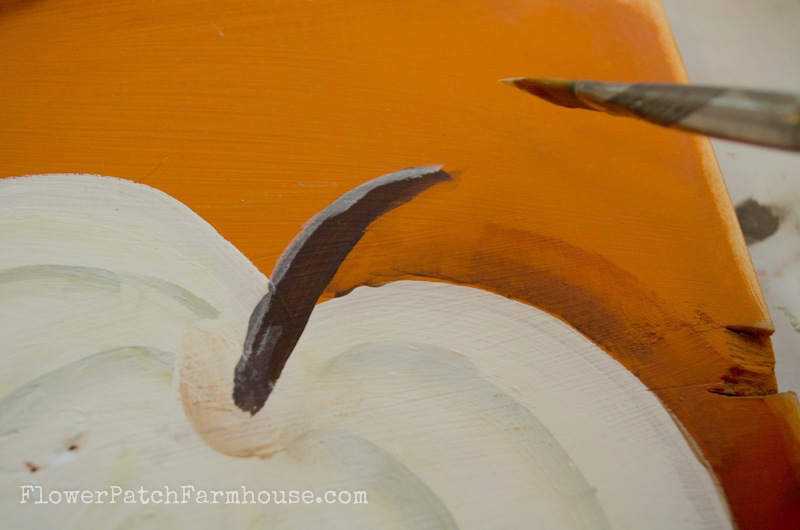 Use the size brush that fits the size of your painting. 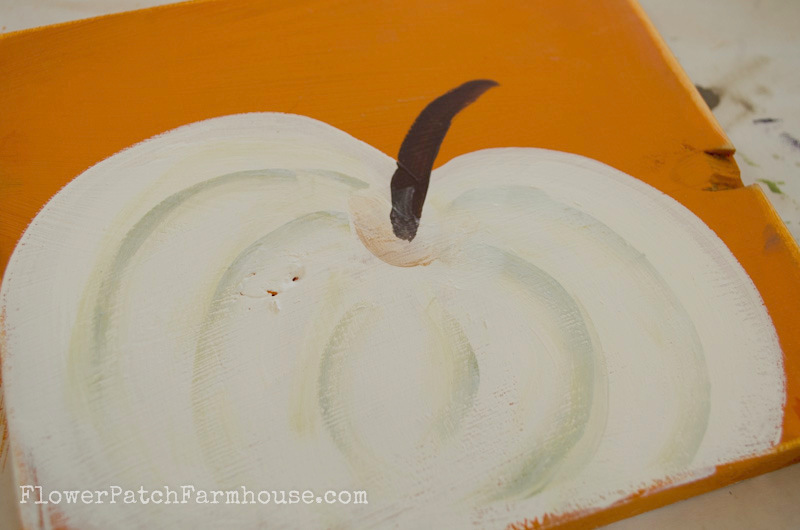 in the video I used a 3/4″ flat brush (comes in the set too) as the pumpkin was much larger. You don’t have to let the white dry and it does not have to be completely opaque. 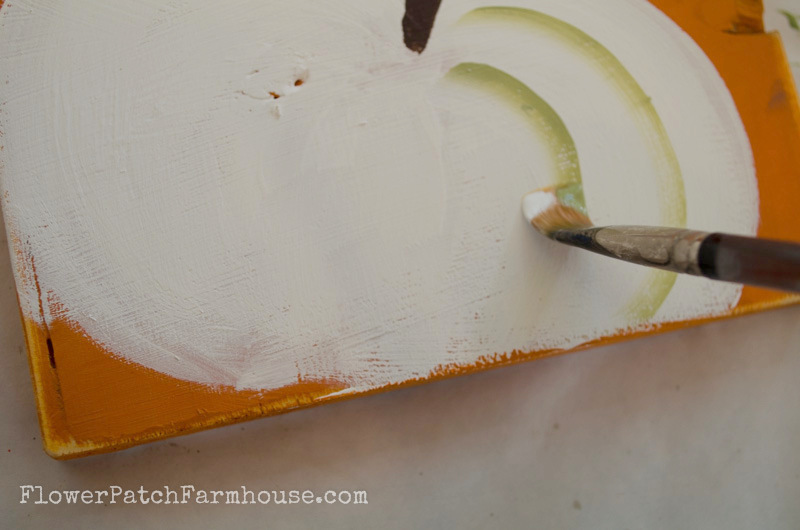 Double load your flat brush with White bottle acrylic and Avocado Green. 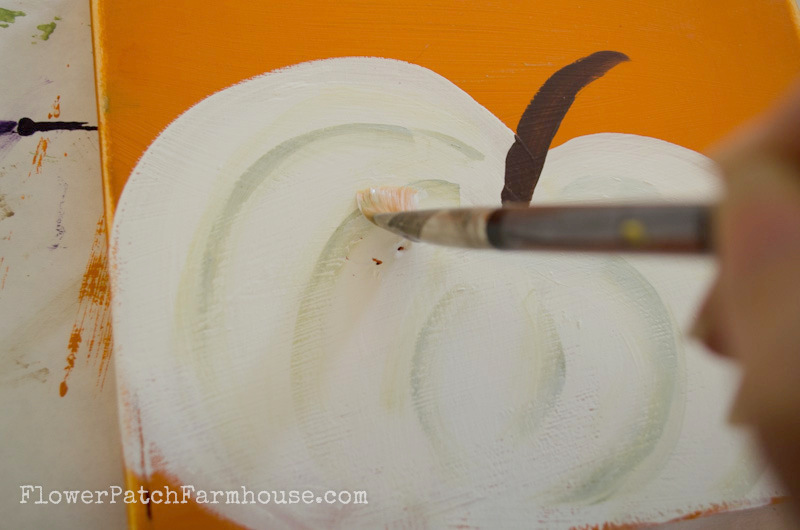 Work it into your brush, if the green (or brown) is too bright add some white to it. Follow the shape of the pumpkin but don’t worry about being perfect. Remember to leave space at the top for the dimple of the stem. Go over the green with some white to blend it in. Load a clean brush with Blending Gel or Floating Medium and side load some Burnt Umber. 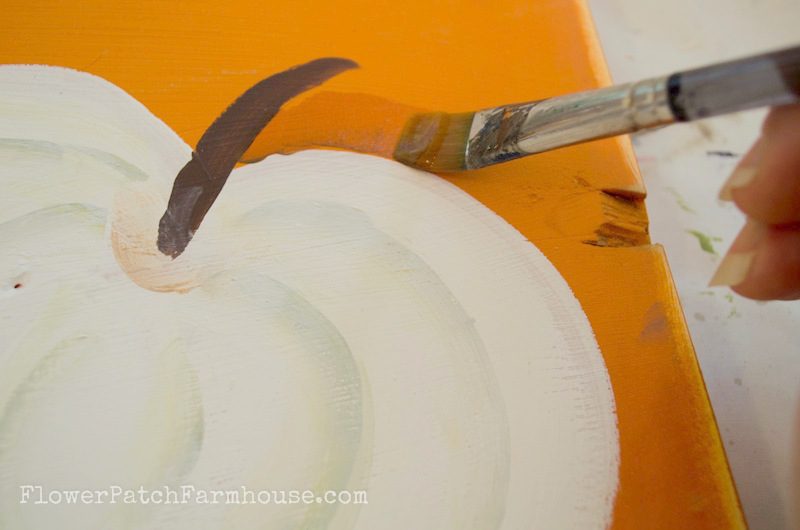 Add more shadowing underneath the pumpkin and highlight the stem along the top edge with a tough of white. I waxed this piece but you could also use a water based varathane or clear coat. If you use an exterior varathane you can even display this outside, just be sure to coat all sides for better durability. 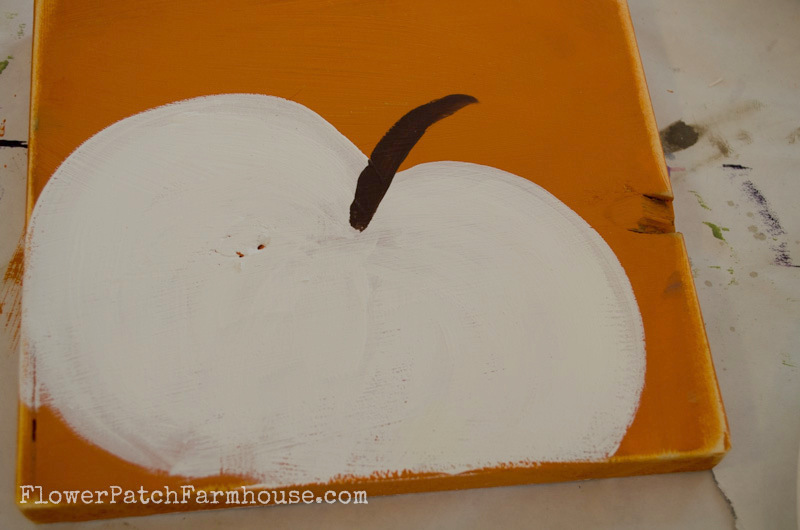 More Fall Painting Projects You Will Enjoy! If you enjoyed this post please PIN and share!